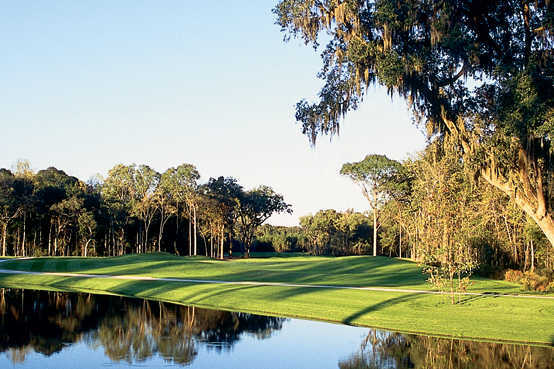 Hampton Hall, a Pete Dye signature design in Bluffton, S.C., is well suited to golfers who like to boom it off the tee to wide, generous fairways. Beware, however, of the numerous bunkers. The keys to success are staying out of the sand and well played second shots. Tip: Be sure to stick your approach shots, because while the greens are enormous, most slope toward collection areas and/or sand bunkers. Hampton Hall's 18th is among the top closing holes in the state. 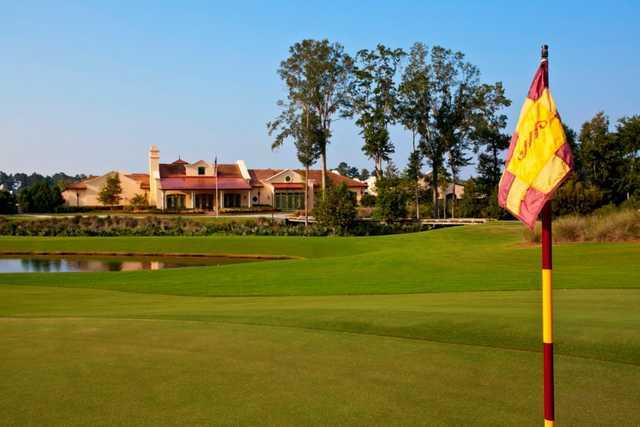 Hampton Hall boasts dozens of stations on the practice range, plus chipping and sand areas, and putting greens.